Before you start, you must think about the total cost. The CCIE is very expensive; there is the price of the written exam, the lab exam – maybe more than one, plus the travel and hotel, unless you live near a test center. There are also the books, practice workbooks and an optional but recommended bootcamp. Since not so long ago, having a rack full of Cisco hardware is no longer necessary, thanks to Cisco VIRL, GNS3 or other similar software. But renting a remote rack can be useful in some situations, and there is also a cost for that. 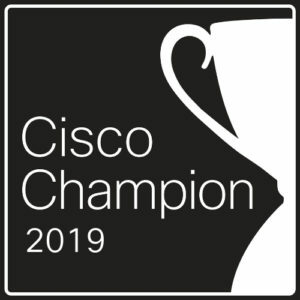 Check here for the Cisco official lab exam locations list. The written exam is done at a Pearson/VUE test center, there is the Pearson/VUE fee, check on their website for the price for your country, and maybe add also a cost to go to the test center. As there are many test centers around the world, I did not calculate this. The lab exam fee is the same worldwide: $ 1600.- including the lunch. If you fail the exam, you can always say this is a very expensive meal. For the travel and hotel costs, it depends on the connections and the travel you should do to be at the test center. I already talked about it in this post. Depending on your connection you may – or not – need to stay at the hotel also the night after the test. Do not forget that in the Cisco exam policy, in case of equipment or system malfunction or network outage during the exam, you can have a delay of up to two hours. Books – Whatever your level before starting to study for the CCIE, there are several books you must have read! You can find many lists on the web. This list from Cisco learning network can give you a good idea. If you are CCNP level, a new book from Narbik Kocharians looks very promising: CCIE Routing and Switching v5.1 Foundations: Bridging the Gap Between CCNP and CCIE (Practical Studies). Knowing Narbik, the labs must to be really good. An important point: do not read only Cisco books! Read also some vendor independent books that focus more on the protocols and theory rather than on the IOS commands. Remember, you study to pass a Cisco exam, but also to become an expert in your field. Go to Amazon, Cisco Press and other online shop and make a first list. Read them, then later add the new books you need based on your self-assessment (I will come back to this later). But please, buy your books or eBooks! Do not download them illegally. Think of the huge necessary work for the authors to write a book of more than 1000 pages including labs and exercises. Have some respect for their work! Workbooks -Workbooks are very important for studying and practicing by yourself for the lab. Without workbooks, you can create labs to study a technology or behavior, but you will lose a lot of time to create your lab itself. The workbooks give you already the lab topology and you can focus on learning. For the choice of a vendor, also here I would not stay with only one vendor. For CCIE v5.0 I made the IP-Expert workbooks, then some INE workbooks, then the Narbik Kocharians / Micronics Training workbooks and bootcamp and finally made some Cisco Expert-Level labs. And I noticed that some subjects are treated very quickly at one vendor and much more in depth at another, and vice versa. Bootcamp – I think with today’s CCIE lab exam, it’s impossible to pass it without doing a bootcamp. A bundle workbooks + bootcamp could be also a very good solution. With some vendors, the workbooks are included into the bootcamp price, others are making a good price if you take a bundle rather than everything separately. If you want to buy a bootcamp or bundle: take your phone and call the different vendors! You will probably get more details that on the website and certainly a better proposal or other benefits. For a bootcamp, we talk about more than $ 4000.- so you can ask a few questions before buying. Unless you live alone in a cave, you must find enough time to study for your CCIE, without putting totally aside your work, your family and your social life. Well, no, please forget your social life until you pass the lab exam. You have books to read, videos to watch, you must practice, practice and practice again. You will be away for a five or ten-days bootcamp, maybe twice if you take a second one. Plus, a couple of days for the lab. For this, you must build a good and realistic study plan. It is the key of your CCIE strategy. Here is an example: study for two or three nights a week, plus one day on the weekend initially. My advice is to make blocks of 4 hours: for example, schedule 4 hours Tuesday evening and 4 hours Thursday evening, from 8.00 PM to midnight. And then, 8 hours the weekend in two blocks of 4. Up to you, sometimes Saturday and Sunday mornings, sometimes one entire day to have the other day free. That makes a total of 16 hours per week. It’s not a lot, but it’s a start. If you can, you can do more. But If you have a family and lot of work, do not “burn” yourself too early, remember CCIE study is a marathon, not a sprint. Then later, when you are closer to the exam, you can add maybe one night during the week and study the entire weekend. Take an Excel file, write the scheduled study hours each day and what you will study. For example, if you have 4 hours one day, plan 2 hours of reading and maybe video on a specific subject, followed by 2 hours of practice on this. At the end of the 4 hours, keep a note on what is not clear, what you need to review. And review these points some weeks later. Do this for all the points of the blueprint, plan the next months in advance and keep some empty days to make more labs or to review a topic. You must have the support of your family, it is essential! Explain them what it means to study for a CCIE, talk about the necessary study hours, the practice, the bootcamp, the exams. If you do not have their support, you will get divorced before attempting the written exam. One of the main problem with CCIE is: the time required to pass the exam is not defined in advance. It can take you one year, two, three, maybe more. When you do a degree or a master, you know it will takes you two years and that’s it. It is also a lot of work, but you know when the end would be. With the CCIE it is not the same, you must work hard and maybe you fail the exam. And then, you must work again, and harder, because you didn’t pass. Explain this in advance to your family to have their support. Some estimations read on the web – which I find good – talk about 1000 hours of practice to pass the lab. Here we only talk about the practice time for the lab part, not the hours of reading and video to know the theory for the written exam. I made that mistake in 2013, on my lab attempt for the v.4.0 exam: I made the entire INE workbooks labs, and for almost every lab I was quicker than the INE estimation time for it. Everything was correct except some small mistakes. I thought: “yeah, that’s it, I’m ready!”. Oh, what a mistake! I failed the troubleshooting part for probably one ticket (73%) but I totally screwed up the configuration part. Why? Because I was not ready! Practice is the key and 1000 hours of labs is not exaggerated! Zero means you never seen this topic (protocol, configuration, whatever it is), no practice, no troubleshooting experience. 1: You know it, but you are not sure how to configure it and no t-shoot experience. 2: You know it, you know the process to configure it, but no deep experience. 3: You know it, you know the process to configure it, and you know how to debug it in details. Once you have made this, work on your weak points. And redo this assessment once a month, and continue, again and again. The blueprint is huge; this is the only way to know where you are and what topic you need to work again. But do not totally skip the topics with a “3”, you need also to practice this otherwise you will get rusty with some commands. As I wrote before, CCIE studying is a marathon and sometimes you can get lost on the road. Be part of some study groups, study with a colleague or a friend if possible. Interacting with people studying for the same exam track is also important. The Cisco Learning Network forum, it is fantastic! Narbik have also a Facebook group. The IEOC from INE is also a good forum, more focused on INE workbooks. I made that mistake: I worked very hard during around two years. I knew every single topic of the blueprint. So, I went confident to the lab exam in Brussels. At the beginning, the exam went well, given the number of tickets and the number answered correctly, I knew that the T-SHOOT part was good. On the other hand, I had to borrow almost 20 minutes of time on the configuration part to make enough points for the troubleshooting. Then the DIAG part started, I was not sure of the answers and the time flew very fast. I started the CONFIG part less confident. I started to made stupid mistakes, so I lost time to fix my own errors. But overall the tasks were not too difficult. At the end, I could not finish. I felt I needed one hour more to finish everything. In the evening, I received the result: pass – pass – failed. 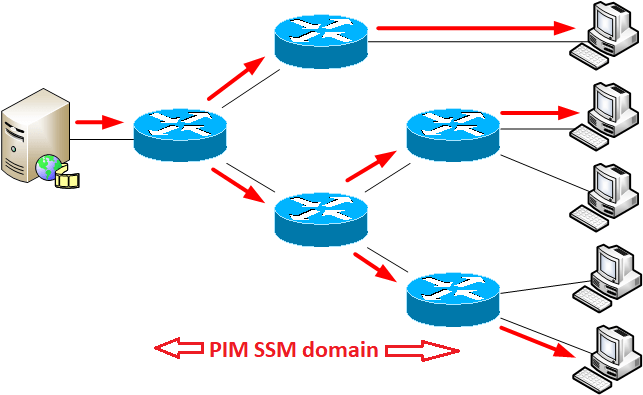 I register myself for the first possible lab seat 30 days later and I started to practice for the configuration part everyday: I did INE mock labs and CCIE expert-level labs again and again. Did I practice troubleshooting? No! Did I practice DIAG? No! Did I made a self-assessment to see if there is any blueprint topic I do not know at 120%? No! And guess what, the result of the exam 30 days later was: fail – fail – fail! Why? Well, first because I was not ready to pass the lab, I had only around 400 hours of practice. And during the month between the exams I only did configuration practice without learning anything! My goal was to be faster, not to learn and improve my weakest points. If you fail the exam, take your time to analyze why, where are your weakest points and how you can improve yourself. Hi, I am not sure if you remember me, we did the Narbik’s bootcamp (UK) together last year . Anyway really goof article, well done man. I’m pretty much in the same situation trying to fill the theoretical gaps. Good luck over there. Thank you very much for your comment. Of course I remember you. I hope you are well, all the best for your study. Thank you, washing you all the best for your study. Really good learning tips into ccie. I have started my CCIE journey and your post is really helpful. The more i read about the topics, the more i find I really know nothing about the topic. It appears my knowledge on topics is 0.5%. But as stated, its a marathon and not a sprint. So will keep going. Planning to attend Narbik bookcamp this May and try again in October. So far i am using Eve-ng and abit of GNS3 for my labs. I hope to pass written next month and my first first attempt next year. Thank you for your comment Richard! I took the Narbik’s bootcamp and I have to say it was really fantastic! I will write a review here soon. Muy buen post Jerome Tissieres 😀 soy todavía un novato consiguiendo mi CCNP pero con las ganas, motivación, hambre del conociento CCIE espero ser un CCIE R&S en unos dos años mas :3 vamos lento pero seguro.. suerte a todos. Thank you very much Gajanan. 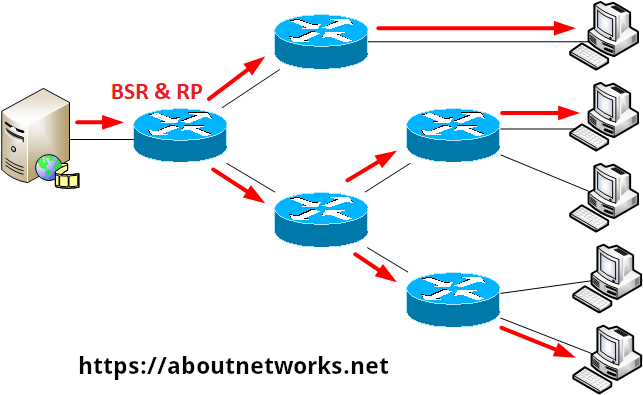 I wanted to say that i am on the journey to CCNP R&S and maybe some day the CCIE. I wish i would have read this before starting with CCNA. You hear so many stories about people passing the exam but no one really talks about how you feel when you don’t pass the exam. Love the honesty. Thank you very much for your comment Keith. Yes, it’s not easy to speak about failure, but this is how we learn the most. All the best for your CCNP journey.